Eugenio Mendoza Goiticoa (Caracas, November 13, 1906, Caracas, October 17, 1979) was a Venezuelan business tycoon who made important contributions in the modernization of the country during the 20th Century. Caracas, officially Santiago de León de Caracas, is the capital and largest city of Venezuela, and centre of the Greater Caracas Area. Caracas is located along the Guaire River in the northern part of the country, following the contours of the narrow Caracas Valley on the Venezuelan coastal mountain range. Terrain suitable for building lies between 760 and 1,140 m above sea level, although there is some settlement above this range. The valley is close to the Caribbean Sea, separated from the coast by a steep 2,200-metre-high (7,200 ft) mountain range, Cerro El Ávila; to the south there are more hills and mountains. The Metropolitan Region of Caracas has an estimated population of 4,923,201. He was the son of Eugenio Mendoza Cobeña (the grandson of Venezuela's first president, Cristóbal Mendoza) and Luisa Goiticoa (the great-granddaughter of Simón Bolívar's sister, Juana Bolívar). Despite his family's historical position he grew up in modest circumstances  due to the monetary sacrifices made by his family during the war for Venezuelan independence and later the Venezuelan civil war. 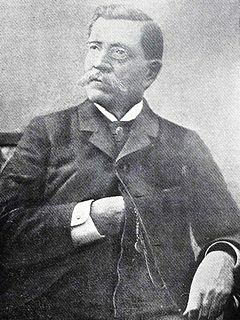 José Cristóbal Hurtado de Mendoza y Montilla, commonly known as Cristóbal Mendoza, was a Venezuelan lawyer, politician, writer, and academic. Cristobal is best known for serving as the first official President of Venezuela from 1811 to 1812. After earning a master's degree in philosophy in Caracas and his doctor utriusque juris in the Dominican Republic, early in his professional career he served in various law firms in Trujillo, Mérida, and Caracas. He moved to Barinas in 1796 to practice law, and in 1807 was elected Mayor of Barinas. In 1810, Mendoza joined the insurgent movement started by wealthy Caracan citizens against the Spanish crown, and in 1811 was elected to represent the province of Barinas in the newly founded Constituent Congress of Venezuela. Days later he was appointed the first president of the First Republic of Venezuela, a role he shared as part of a triumvirate. Until his term ended in March 1812, Mendoza began the war for independence against the parts of Venezuela that still supported the Spanish monarchy, authored the Venezuelan Declaration of Independence, and also took part in constructing the first Constitution of the Republic of Venezuela. Simón José Antonio de la Santísima Trinidad Bolívar Palacios Ponte y Blanco, generally known as Simón Bolívar and also colloquially as El Libertador, or the Liberator, was a Venezuelan military and political leader who led the secession of what are currently the states of Venezuela, Bolivia, Colombia, Ecuador, Peru, and Panama from the Spanish Empire. Eduardo Mendoza Goiticoa was a Venezuelan scientific researcher and agricultural engineer. He served the government of Romulo Betancourt, becoming the youngest cabinet minister in Venezuelan history at the age of 28. His appointment was problematic due to his young age and required a Constitutional Amendment. Betancourt had insisted on the appointment and vastly expanded the portfolio of the Secretary of Agriculture to include all immigration matters. Mendoza was married to Hilda Coburn Velutini having two daughters. Eugenio Mendoza was the fourth son of seven children, he had four brothers and two sisters and was the only one who did not pursue a university education, choosing instead to go into business by starting his first company at the age of eighteen. In partnership with Moises Miranda  he founded “Moisés Miranda & Cía” a firm to sell construction materials. By January 1932, he purchased Miranda’s shares, becoming the sole owner of the company today known as “Materiales Mendoza” ”. During the following years, he founded "Maquinarias Mendoza" a heavy equipment company. 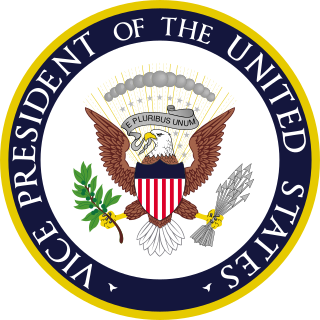 Henry Agard Wallace was an American politician, journalist, and farmer who served as the 11th U.S. secretary of agriculture, the 33rd vice president of the United States, and the 10th U.S. secretary of commerce. He was also the presidential nominee of the left-wing Progressive Party in the 1948 election. By 1943, he had created "Venezolana de Cementos" which became largest supplier of cement in the country. Vencemos had plants in Barquisimeto, Maracaibo, Pertigalete, Macuro and Catia La Mar. Also, in the following years he conformed "Protinal", dedicated to the production of animal feed which later became the pioneer in the development of poultry as a low cost substitute for protein; "Venezolana de Pinturas" and "Venezolana de Pulpa y Papel". His business organization, "El Grupo Mendoza" became the largest industrial conglomerate in the 1970s encompassing everything from cement, construction, heavy machinery, paint, paper mills, animal feed, banking, and insurance to car manufacturing today known as General Motors of Venezuela. At the age of 34, Eugenio Mendoza was appointed Minister of Industry Promotion  during Isaías Medina Angarita’s presidency in Venezuela (1941-1945). Arturo Uslar Pietri and Lorenzo Mendoza Fleury were also part of Medina Angarita’s cabinet; Uslar Pietri as Secretary of the Presidency and Mendoza Fleury as Philadelphia’s Consul and later as Deputy Ambassador to the United Nations. These group promoted the industrialization in Venezuela, favoring the development of the country. In 1958 was appointed as minister of rear admiral Wolfgang Larrazabal’s cabinet following the overthrow of Marcos Pérez Jiménez on 23 January 1958. He founded the "Fundación Mendoza" which led the philanthropic community of Venezuela for two decades primarily focusing on the founding of "Hospital Ortopedico Infantil" the largest children's hospital in Latin America and numerous schools. In 1970, he founded the Universidad Metropolitana, a private university located in Caracas, which became the most important passion of his later years. It was the first Venezuelan university to offer careers in business management and finance. It remains one of the most prestigious private universities in Venezuela. Today, their three children and grandchildren continue the business and philanthropic work of "El Grupo Mendoza" and "Fundación Mendoza". Arturo Uslar Pietri was a Venezuelan intellectual, historian, writer, television producer and politician. Juan Oropeza Riera was a Venezuelan lawyer, diplomat, writer, educator and political scientist. He was born in Carora in the state of Lara, and was the younger brother of pediatrics pioneer, Pastor Oropeza Riera. The Palacio de Miraflores is the official workplace of the President of Venezuela. It is located on Urdaneta Avenue, Libertador Municipality in Caracas. Pedro Sotillo (1902–1977) was a Venezuelan writer, journalist, and poet. He was a distinguished member of the Generation of 1928 and co-founder of several well-known magazines such as El Ingenioso Hidalgo and Válvula. The Venezuelan Popular Union was a political party in Venezuela. The UPV was built along 'Browderist' pattern. UPV had its roots in the Municipal Union (UM), which had been legalized in 1941 and had functioned as a legal cover for the underground Communist Party of Venezuela. The party was founded on March 13, 1944 through the merger of the Municipal Union of the Federal District, the Zulian Unification League and eleven state-level 'People's Unions'. The decision to form UPV as a political party was taken at the Fourth National Conference of the Communist Party of Venezuela. Fredy Reyna was a Venezuelan musician, arranger and performer, regarded as the undisputed master of the Venezuelan cuatro, which he elevated to the level of a concert instrument, and one of his country's most important cultural figures in the 20th century. Julián Padrón was a Venezuelan writer, journalist and lawyer. Maria Guinand is an internationally renowned choral conductor. Adolf Ernst was a Prussian-born scientist. Ernst settled in Venezuela in 1861, where he taught at the Central University of Venezuela. He became the most important scientist in the country during the second half of the 19th century and was a key figure in the creation of the Museum of Natural Science and the National Library of Venezuela, where he also served as its director. Eduardo Schlageter was a Venezuelan-German painter. In Venezuela, since the opening of the Teatro Caracas and, earlier, the Teatro Maderero, there whas been a great lyrical tradition ranging from serious opera to operetta, zarzuela, and Spanish musical reviews. Mauricio García Araujo was a Venezuelan economist who worked in both the private and public sectors. He was the president of the Venezuelan central bank between 1987 and 1989 during the presidency of Jaime Lusinchi (1984-1989). Dr. César González Martinez was a Venezuelan lawyer and the Minister of the Interior and Justice. Lucila Luciani de Pérez Díaz was a Venezuelan historian, musician and feminist. She was the first woman Director of the Teacher's Normal School, served as the librarian of the Ministry of Foreign Affairs and became the Deputy Director of the National Library. She was the first woman inducted into the National Academy of History and was Venezuela's delegate for the inaugural body of the Inter-American Commission of Women. She was one of the founders of the feminist movement in Venezuela and published the feminist magazine Iris. Basque Venezuelans are citizens of Venezuela who are of Basque ancestry. Diego Jesús Jiménez de Cisneros Bermúdez was a Cuban-Venezuelan businessman. He founded Grupo Cisneros. 1 2 Rios, Veronica (3 August 2015). "Eduardo Mendoza Goiticoa (1917-2009)" (in Spanish). El Nacional . Retrieved 7 August 2015. ↑ Press, Eduardo (2011). Empresas de Familia: Del conflicto a la eficiencia (in Spanish). Ediciones Granica. p. 76. ISBN 9506416737. ↑ Jaén, Gustavo (1987). Eugenio Mendoza : apuntes para una interpretación (in Spanish). Caracas, Venezuela: Ediciones Centauro. p. 41. ISBN 9802630640 . Retrieved 26 February 2016.